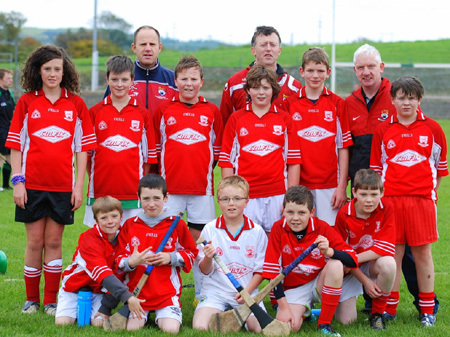 The annual Aodh O D�laigh under 12, 11-a-side hurling tournament was hosted by Aodh Ruadh juvenile hurling committee on Sunday last. 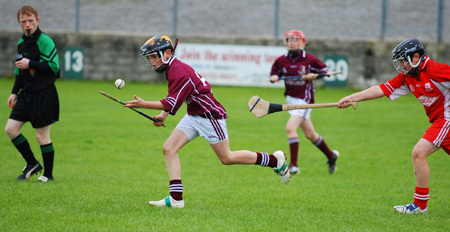 In ideal conditions five teams took part in this very competitive days hurling. The sides in attendance were Naomh Eoin (Sligo), Coolera/Strandhill (Sligo), Lisbellaw (Fermanagh), Letterkenny Gaels and host club Aodh Ruadh. 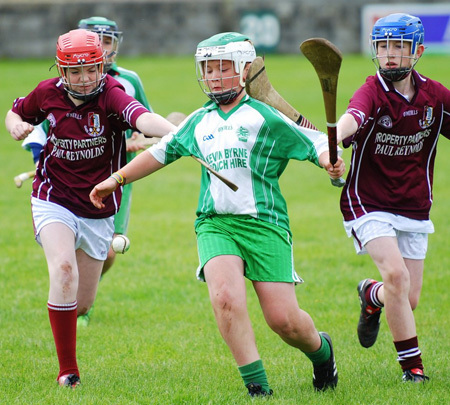 The tournament was played on a round robin basis with all teams playing four games in the group section with the top two teams qualifying for the Aodh O D�laigh final and the third and fourth placed teams qualifying to play in the primary league final. 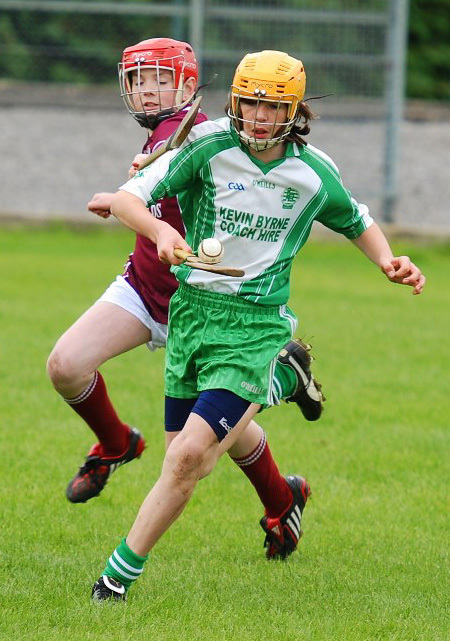 Play began at 11am with the clashes of Aodh Ruadh v Coolera/Strandhill and Naomh Eoin v Letterkenny Gaels. 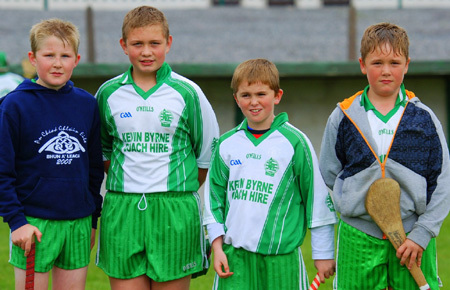 It was the two Donegal teams who emerged victorious. 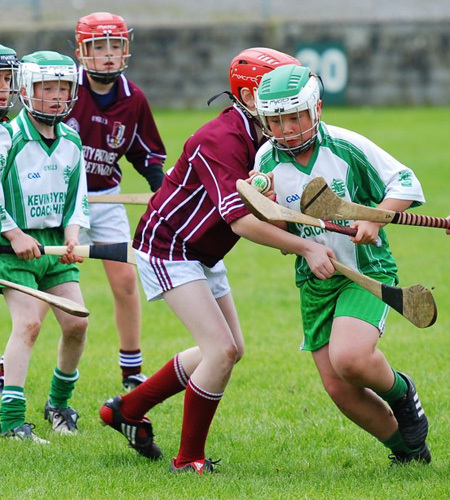 The games continued hard and the fast and the standard of hurling was very high, with the games very competitive and close fought. 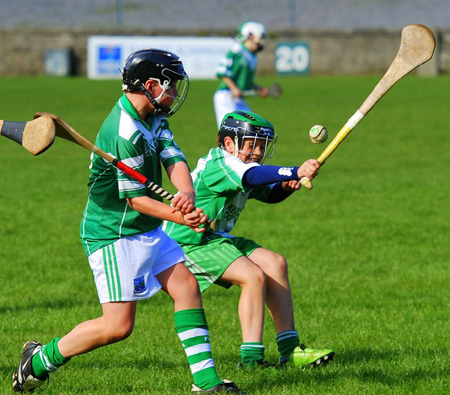 When the group phase was concluded the stage was set for our two finals, the primary league final had the novel pairing of Coolera/Strandhill against Letterkenny Gaels while the Aodh O D�laigh final saw a renewal of the rivalry between Aodh Ruadh and Fermanagh kingpins Lisbellaw. 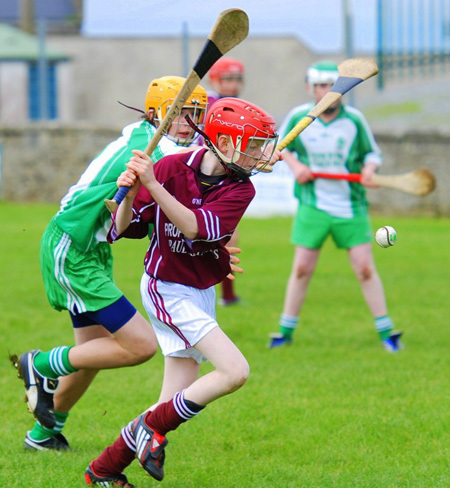 The primary final had two very evenly matched teams and the exchanges were tough and fair, there was very little between the two teams all through till a few late scores allowed the Sligo boys to hold onto their primary shield for a second consecutive year. 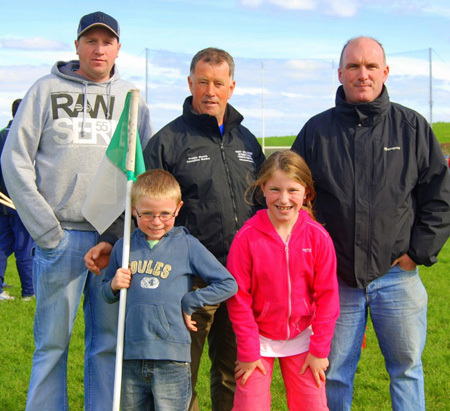 The stage was now set for the Aodh O D�laigh final. 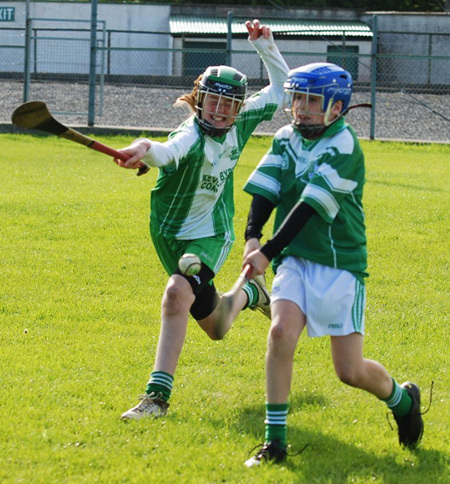 This was a rematch of the Fermanagh under 12 league final. A large crowd had gathered for this eagerly awaited clash. 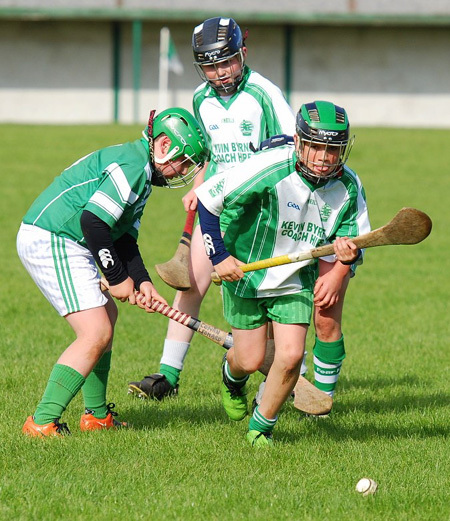 Play was very nervous early on as both teams tried to get on top, Aodh Ruadh had more of the play early on but found scores hard come by due to poor shooting and some great defending by Lisbellaw. 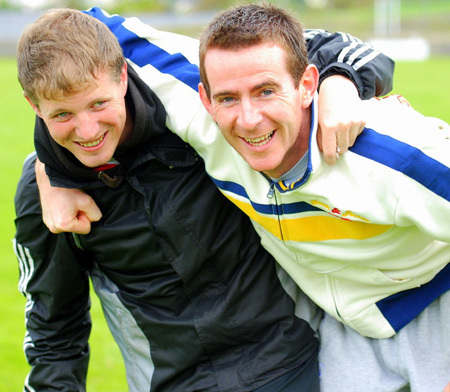 As the game wore on the stronger Donegal team began to get on top and began to find range with their shots and ran out comfortable winners on a 5-7 to 1-7 score line and claim the Aodh O D�laigh shield to go along with the Fermanagh League title. 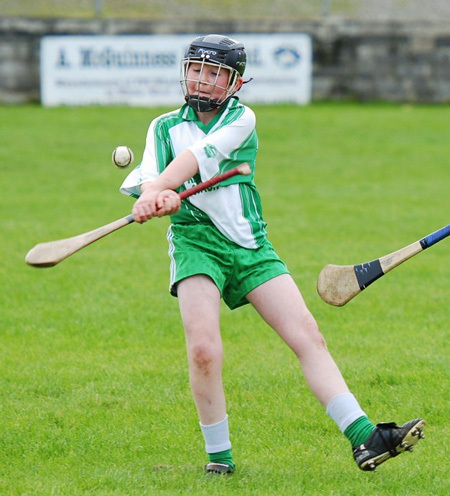 Aodh Ruadh had a panel of 17 players and the most pleasing thing from the winner's perspective was the fact that all players played in every game. 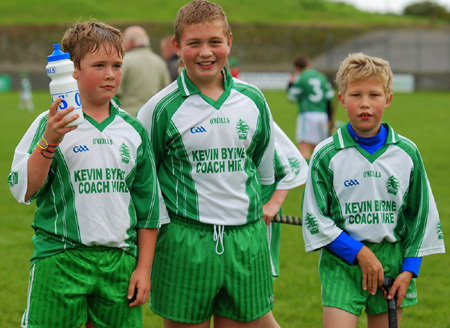 From Fr Tierney Park it was up to Aras Aoidh Ruaidh for great refreshments that the mothers of the Aodh Ruadh under 12 hurlers had prepared for all. Everyone was fed and nobody went home hungry following the hospitality for which our mothers are well renowned. Then it was onto the presentation ceremony. 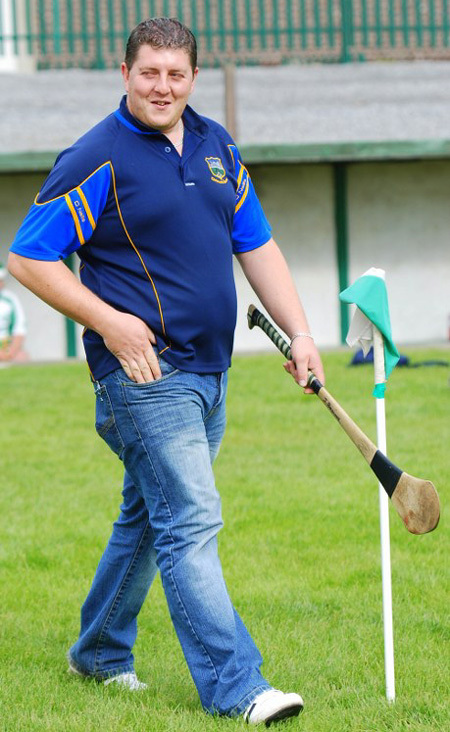 Aodh Ruadh Juvenile Hurling Chairman John Rooney acted as MC and welcomed all the visiting teams to Aodh Ruadh, he thanked all the teams for making their annual visit to Ballyshannon. He spoke of the late Hugh Daly in whose honour this tournament is run and of the great GAA man he was and how his love of the GAA was passed on to all his family and the important role they all have played in the GAA. He thanked Tom Daly, former Ulster Council President for attending as always. 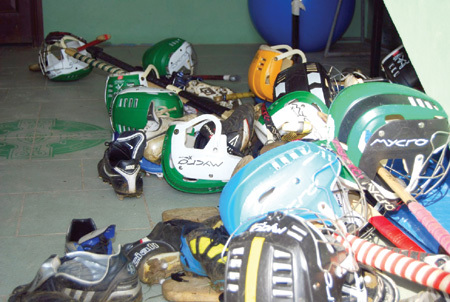 He then spoke of the local National Schools of the important role they play in promoting hurling within the Aodh Ruadh catchment area. 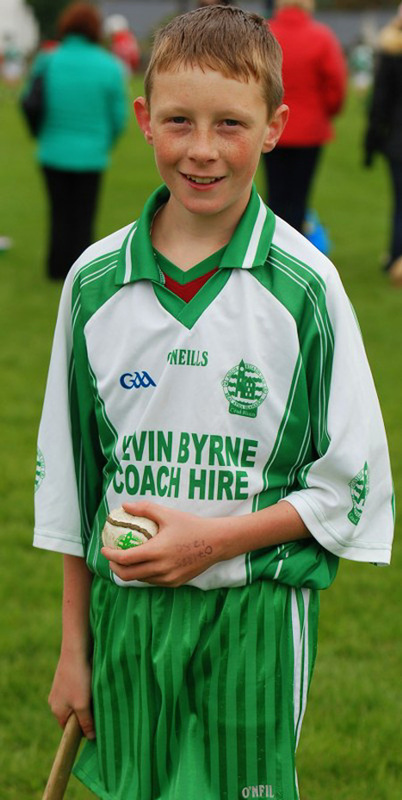 He singled out the achievements of Holy Family National School who won the Cumann na mBunscoil nine-a-side competition this year and Creevy National School's Brendan Gillespie who took part in the INTO exhibition game in Croke Park during the All-Ireland Semi Final between Tipperary and Waterford. 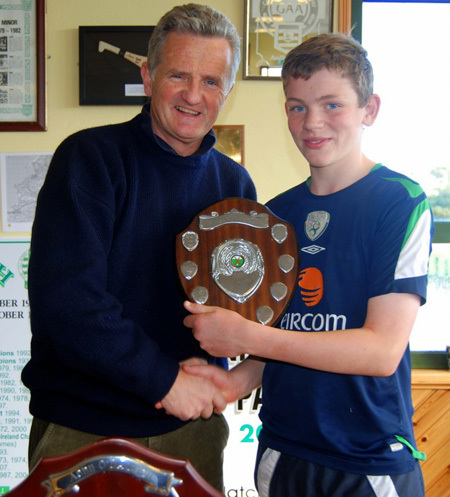 He called on Conor Carney to present the Primary Shield to the winning Coolera/Strandhill captain. 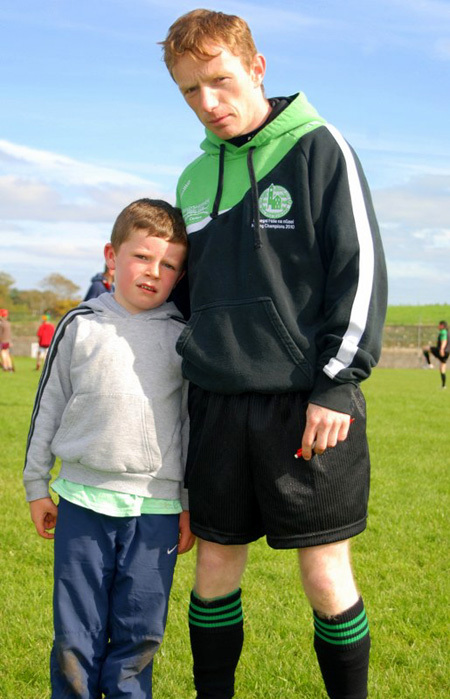 Conor spoke of the great interest and passion the young lads in Ballyshannon have for the game of hurling. 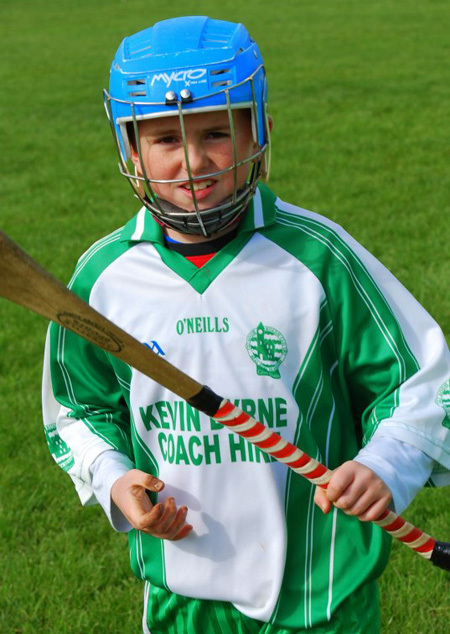 He spoke of his pride of winning the Cumann na mBunscoil competition and he praised the great work being done by the Aodh Ruadh Juvenile Hurling Committee. 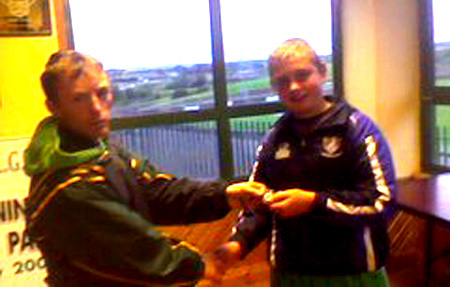 He presented medals to the Coolera/Strandhill team and runners up medals to members of the Letterkenny Gaels team. 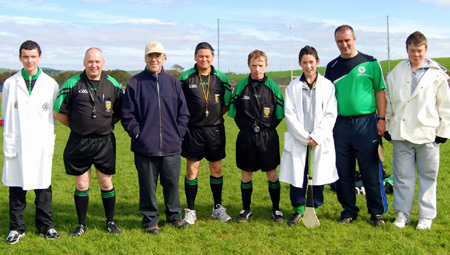 John Rooney thanked the referees Peter Horan, Chris Kelly and Eddie Lynch and spoke of the importance of having qualified referees and the need to respect referees. 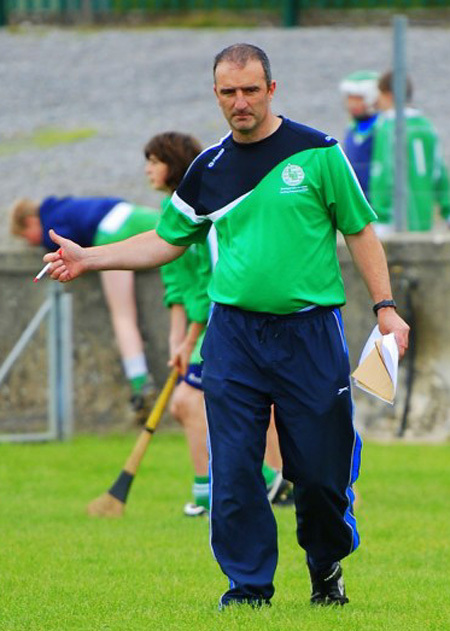 He also thanked under 14 hurlers Eddie Lynch, Conor Kennedy and Garrett Ferguson who acted as umpires. 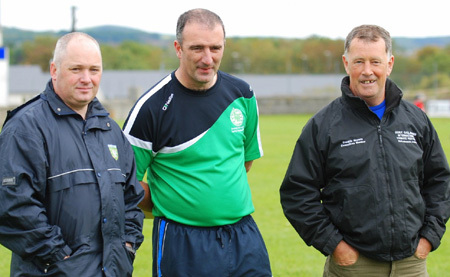 He also thanked the Aodh Ruadh Park committee for the use of the splendid facilities and Pat Melaniff for having everything ready for them all year. 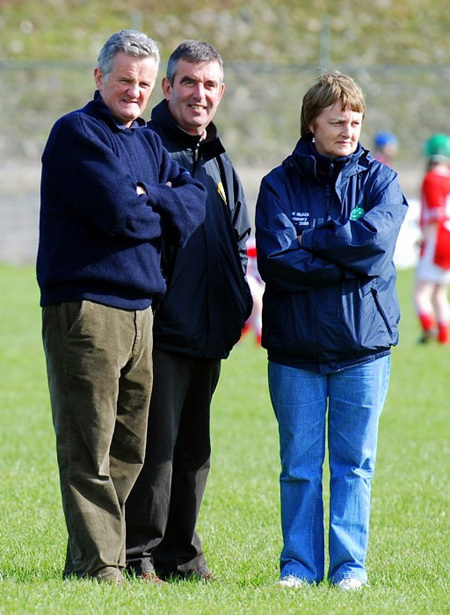 He then called on Tom Daly to address the gathering, Tom began on behalf of the Daly family by thanking the Juvenile Hurling committee for organising this annual event. He welcomed all the teams, he commented on the high skill level he had witnessed throughout the day and on the commitment of the young players and the dedication of their mentors. He also thanked and complimented the referees. 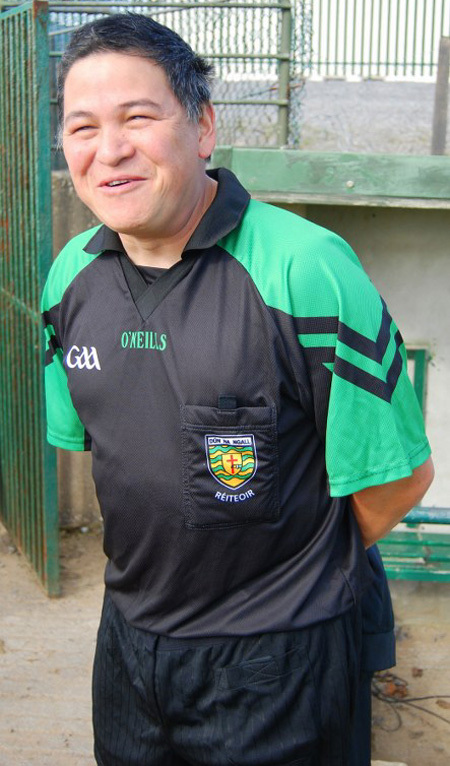 He called on the defeated Lisbellaw captain Eoin Cleary to come forward with his team for the runners up medals. 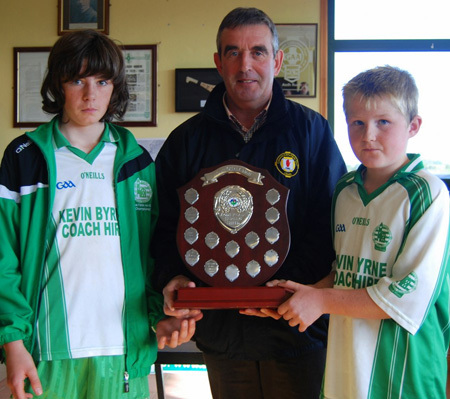 Then came the moment the crowd had been waiting for as joint Aodh Ruadh captains, Brendan Gillespie and Ois�n Rooney, made their way forward to accept the Aodh O D�laigh Shield from Tom, and proudly one by one the entire panel came forward to accept their medals. 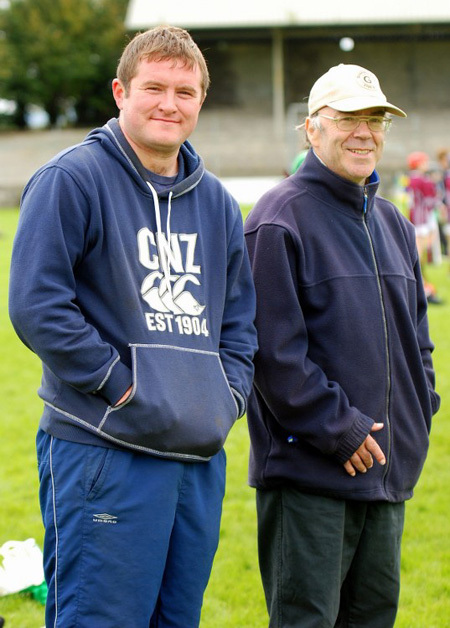 John Rooney finished proceedings by thanking all the Aodh Ruadh under age hurling managers and mentors for their dedication to their teams and all their support and help to him and thanked Billy Finn, who was present, for all his efforts over the years. He thanked the panel and their parents for their commitment to training and matches throughout the year and concluded proceedings by saying he was looking forward to seeing everyone again next year. 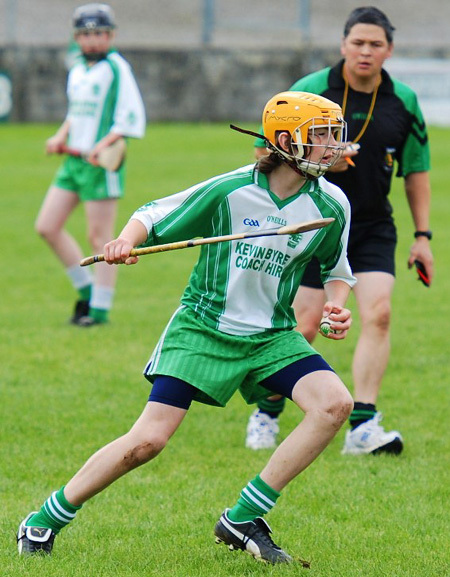 Many thanks to Ronan Matthews for the fine photography on the day.